Medications, water, blankets and shelter needed! 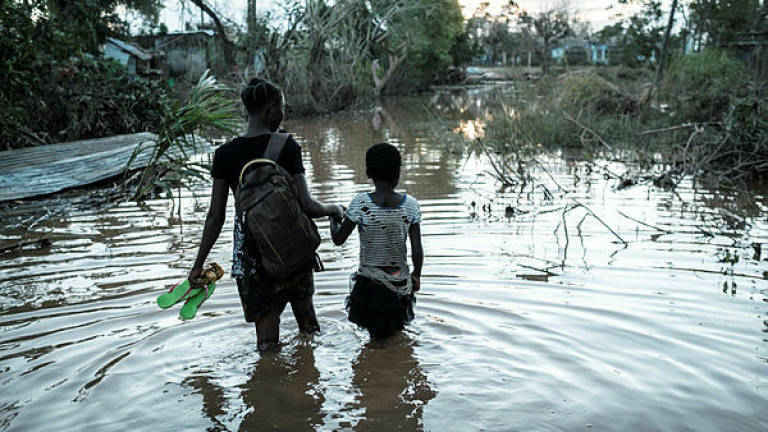 According to local sources in Maputo, the Cyclone Idai affected the central provinces of Mozambique as well as Malawi and Zimbabwe. Places worst hit are Sofala, Beira city, Zambezia, Tete, Manica. On March 20, about 90% of the city of Beira was under water. Survivors are in desperate need of food, shelter, and clothing. Jose, a native of Beira whose son is in the city shared, "The situation is very, very bad. People are still trapped on tree tops and roof tops since Friday last week, (March 15th), hungry and thirsty waiting to be rescued. Those who have been rescued are in desperate need of food and shelter or a place to sleep. They are so many that the institutions do not have the capacity to host and care for them all." There are no rest rooms, no baths which stimulates unsanitary conditions and the spreading of disease. Many, especially children have come under the attack of diarrhea and malaria. Those in their own homes have no roofs over their heads and no food. The floor is wet and there are no blankets because of the water or in some cases everything has been lost. Crime is on the rise as desperation takes hold and some are invading homes, shops, businesses and warehouses in the search of food and other necessities. At this search and rescue phase, food, drinking water, clothes, blankets, medications and indeed the basic necessities are urgently needed. More Medical doctors are also needed. Email stt@ghni.org to volunteer. God bless you for this work.